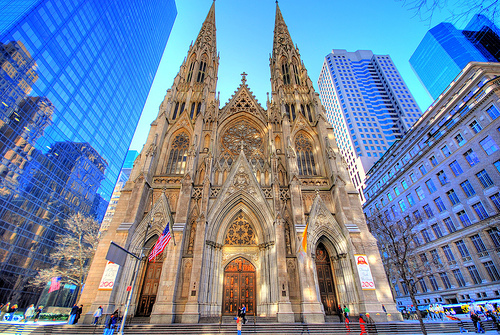 Saint Patrick’s Cathedral is truly an amazing building from an architectural point of view to the history behind it. Apparently, many birds like it too! They like it so much, in fact, that only BirdMaster could be trusted to solve the problems they created. 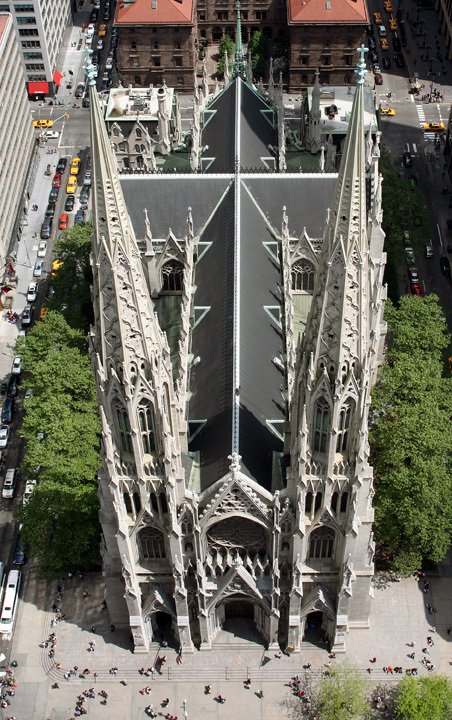 It’s not hard to see why birds would want to live in the massive, neo gothic style Roman Catholic Church with all of its intricate alcoves and crevices to hide in. The location is great too! It sits across the street from the Rockefeller Center in Manhattan and faces the Atlas Statue. But unfortunately, after 135 years of being at the mercy of these birds in addition to the city pollution and acid rain, the Tuckahoe Marble façade had been deteriorated and bricks had started crumbling. So, in 2012, a $175 million restoration project began. This 3-phase project to repair and restore the church to its former glory is planned to finish in December of 2015. The church’s early years were plagued with bad luck. Purchased in 1810, it was abandoned some 5 years later and wouldn’t reopen for another 25 years. Even when it did, it was only 4 years until the church was so bankrupt that there was no choice but to sell it at auction. When the church’s debt was finally paid in 1853, the building was bought back and completely redesigned. James Renwick Jr. is responsible for designing this building we’re familiar with today. Building commenced in 1858 but was put on hold during the Civil War until 1865. It was finally completed in 1878, 20 years from the start! Future additions would include an Archbishop House, Rectory, Lady Chapel, spires and stained glass windows. The church was renovated again in 1927 and was declared a landmark in 1976. This historic building can now accommodate a whopping 2200 people, takes up a whole city block, and is constructed of brick clad in marble quarried from Massachusetts and New York. 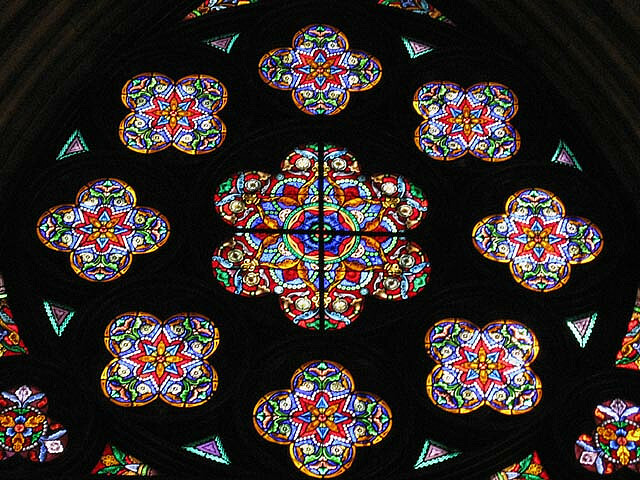 Its spires rise 330 feet above street level and the beautiful stained glass windows were crafted in a couple different places from Boston to England to France. Roman artist Paolo Medici designed the Saint Elizabeth altar and Tiffany & Co designed both the Saint Louis and Saint Michael altars. The church has even been featured in movies like “Beneath the Planet of the Apes” and “Gremlins 2: The New Batch”! When preserving and restoring such historically significant buildings, there’s a reason why BirdMaster was chosen to take part. This magnificent church had its share of problems in the past but from here on out, pest birds won’t be one of them.